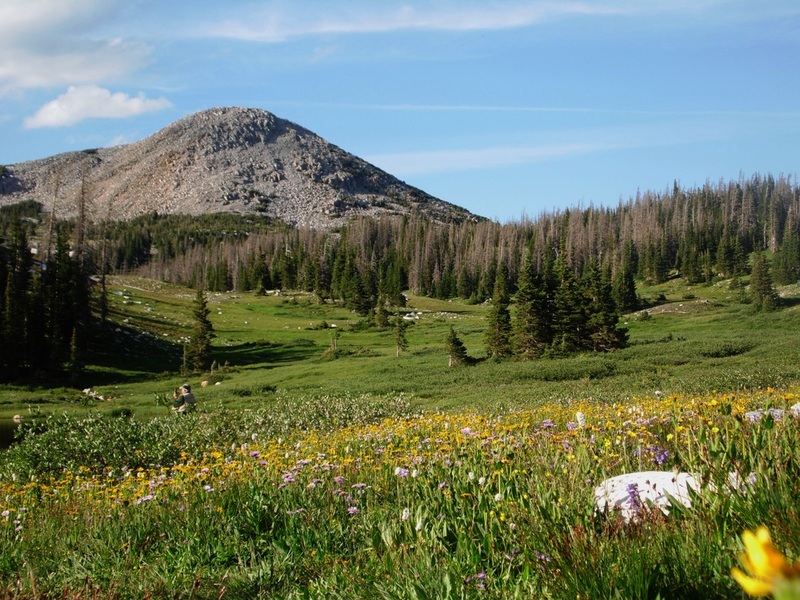 Wyoming is dominated by high mountains and sweeping plains with a mean elevation of about 6,700 feet. As a result, the weather in Wyoming tends to be cool and a bit unpredictable. 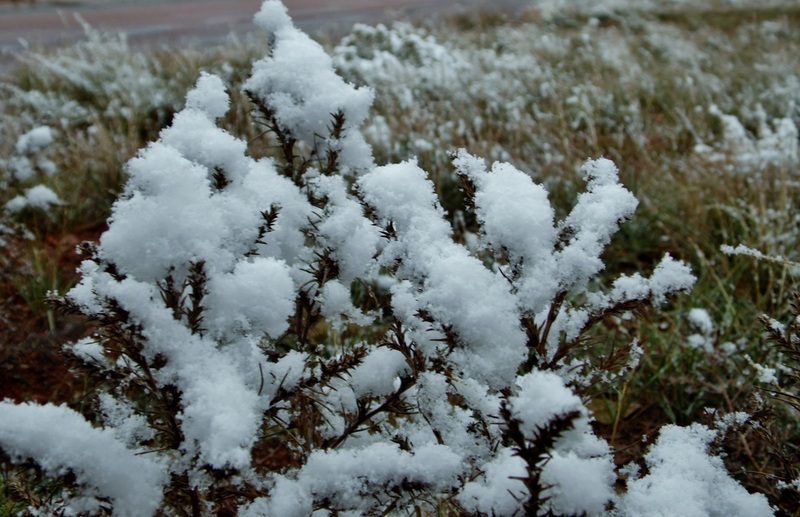 It is not uncommon to have snow any time from November to May. 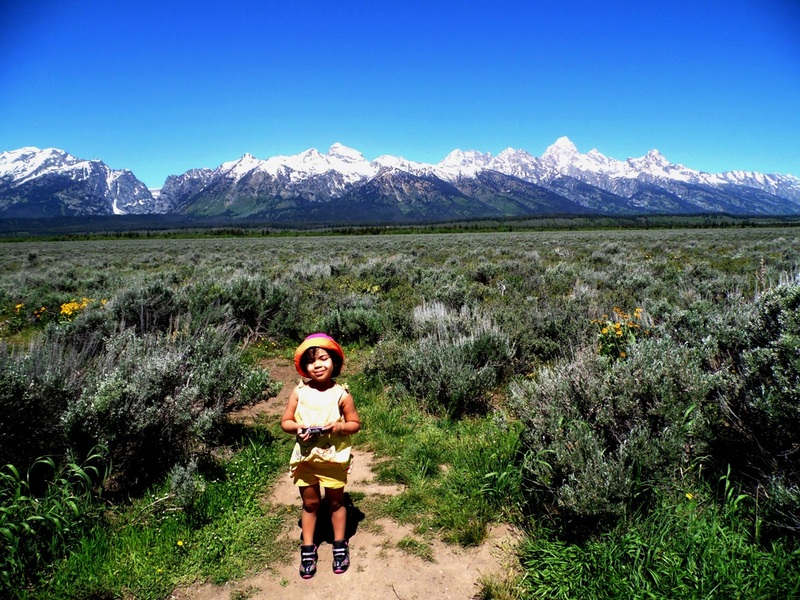 In spite of the snow and wild hail, thunder and rainstorms, Wyoming tends to have a dry climate with little humidity. 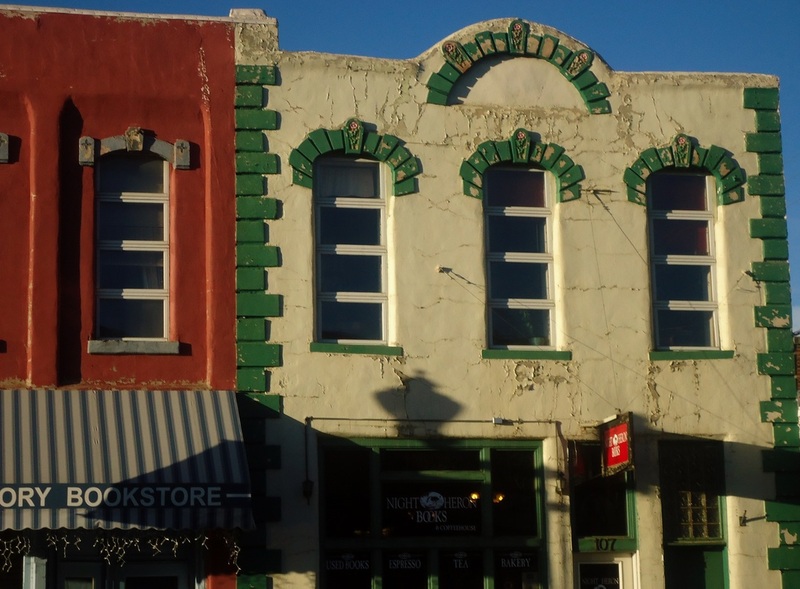 Laramie, our home town, has its roots in the frontier history of the state. 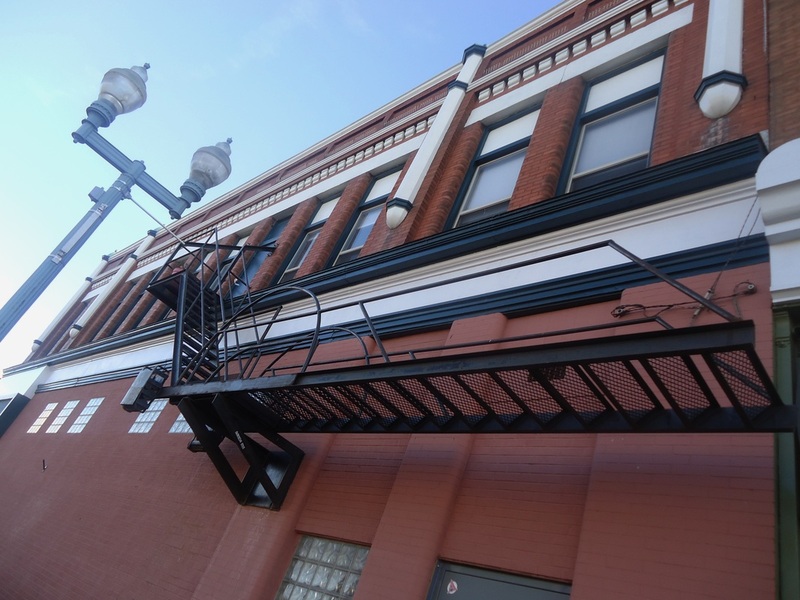 Named for trapper and explorer Jacque LaRamie,it was founded in the mid 1860s as a housing center for those who were working on the Transcontinental Railroad. Laramie was initially so lawless that the federal government had to be called in to keep the peace. The Wyoming Territorial Prison which once housed Butch Cassidy is still a tourist attraction in our town. 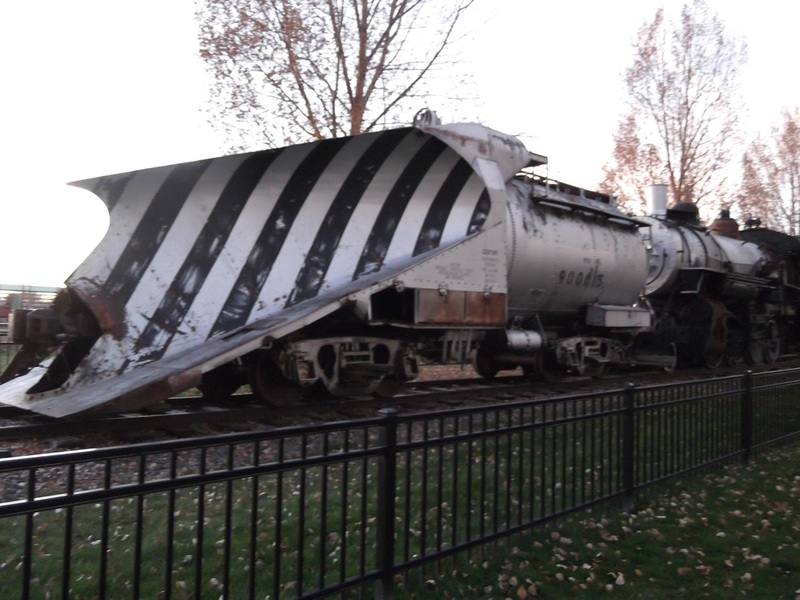 The first Transcontinental Railroad passed through the Rocky Mountains across southern Wyoming before continuing into Utah where the Union Pacific line met with the Central Pacific line in Promontory, Utah. Between the years of 1840 to roughly 1869, thousands of travelers set forth to conquer and settle new lands. 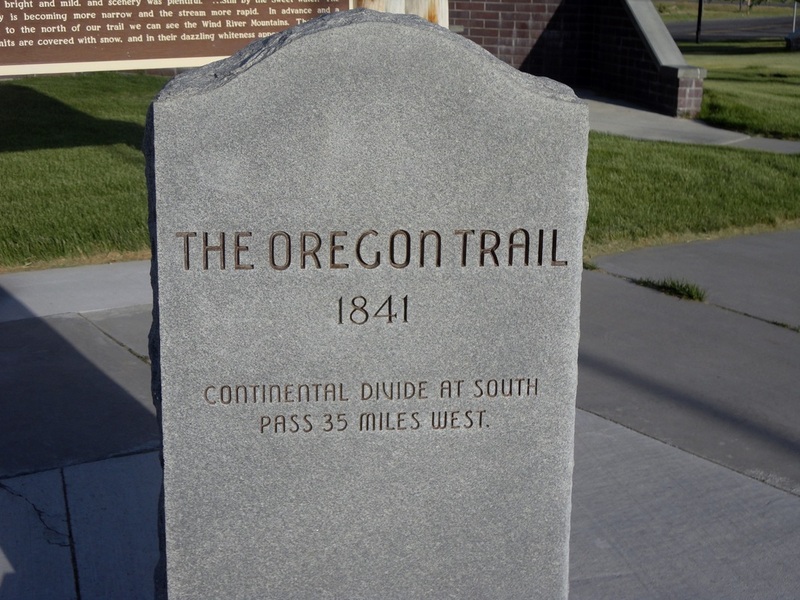 One of the trails carved out by these emigrants was called the Oregon Trail, and it crossed Wyoming. Even today, impressions of the wheels of carts and wagons remain carved into the rock in Guernsey, WY. It is said that the wildlife in Wyoming outnumber the human residents by a factor of 10 to 1. 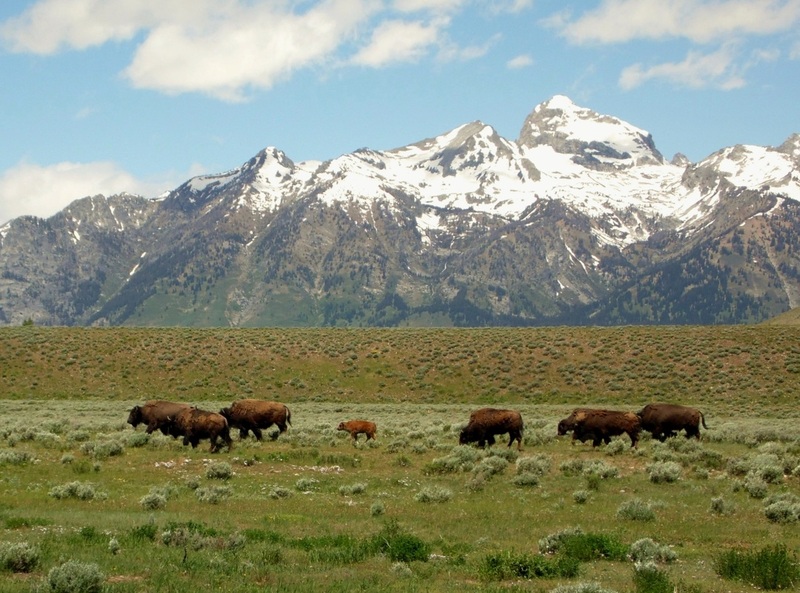 Moose, deer, grizzly and black bears, wolves, coyotes, prairie dogs, bison, eagles, trout, mountain lions, sage grouse, elk, swans, wild turkeys, falcons, prairie rattlesnakes and more abound in different regions of Wyoming. The picture of the deer was taken near our house. 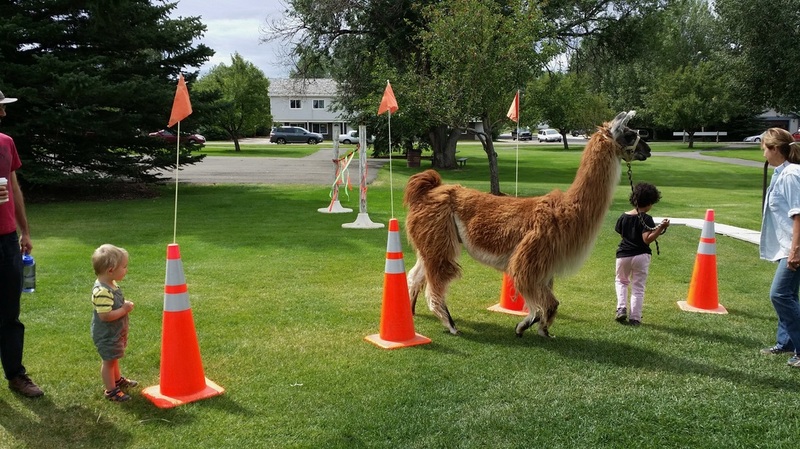 Even though Laramie is one of the larger cities in Wyoming and is home to the state's only university, you can still find unpaved roads and cows, llamas, goats, chickens and other livestock in pastures and yards around town. Although much of the prairie lands are found in eastern Wyoming, in truth, grasslands are found in one form or another as the mountains turn to shrub brush and then open land. 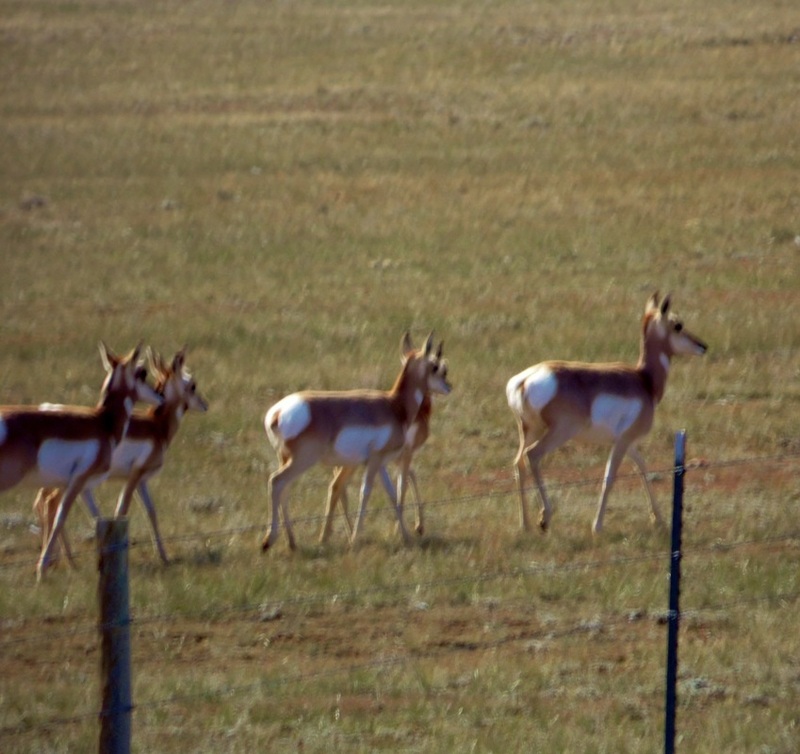 The prairie is host to a wide range of diverse creatures. 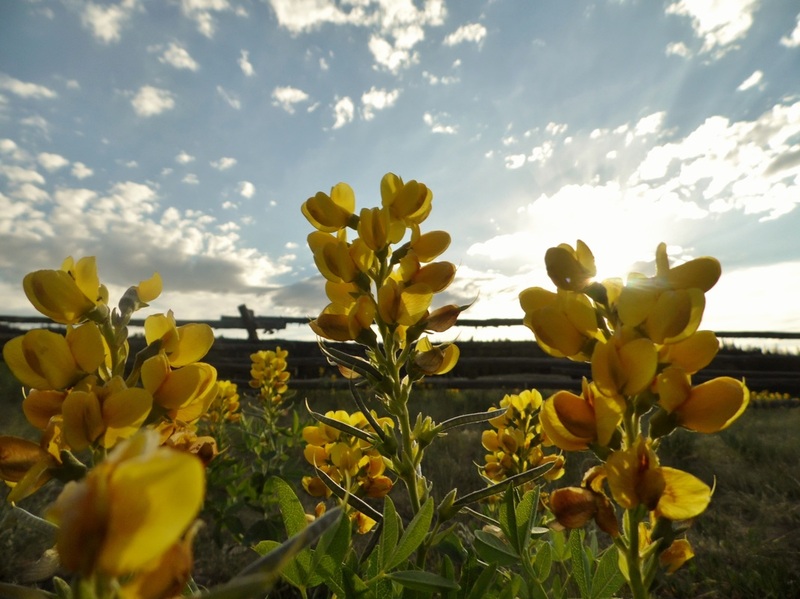 The prairies are at risk from human encroachment and development, invasive plant and animal species and climate change. 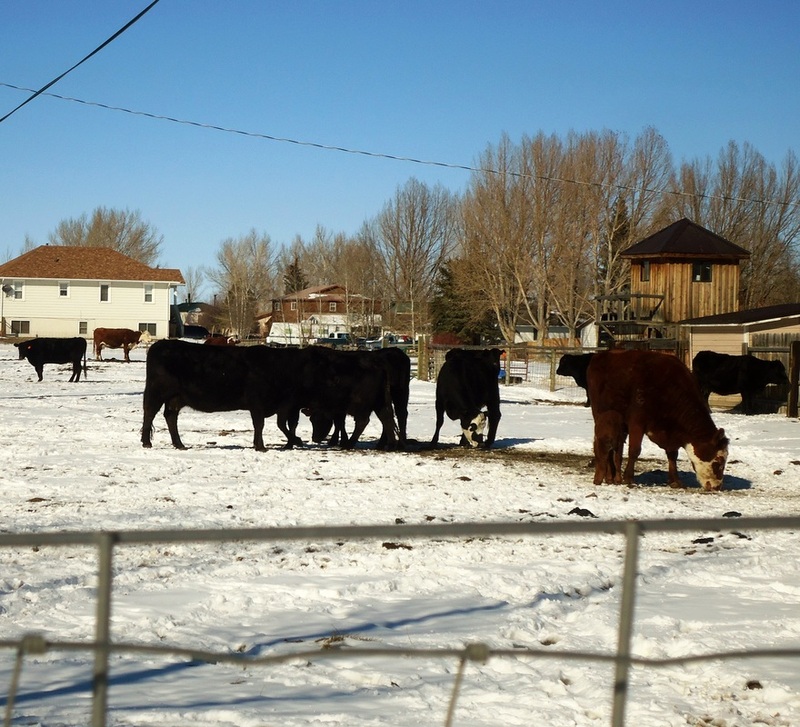 Not only does Wyoming have a huge beef industry, but it is also one of the biggest agricultural producers in the United States. 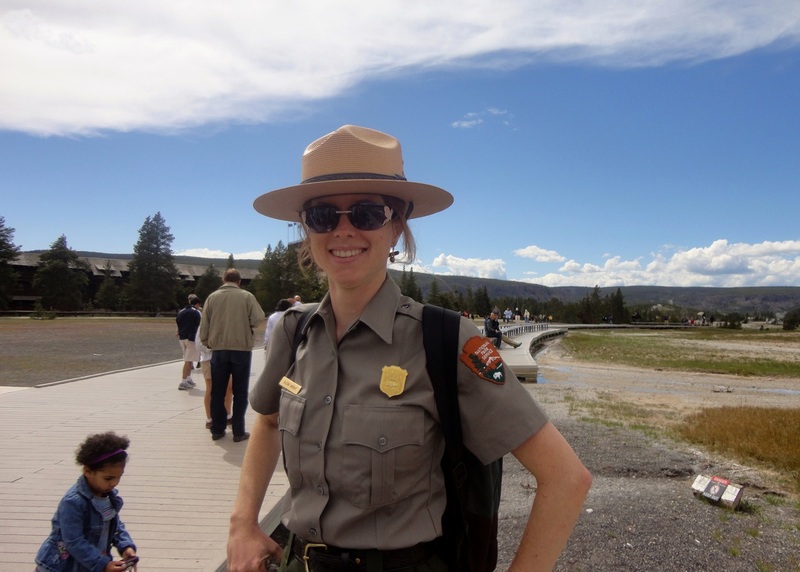 Yellowstone National Park is located atop a giant reservoir of magma, and in spite of appearances to the contrary is actually a super volcano. 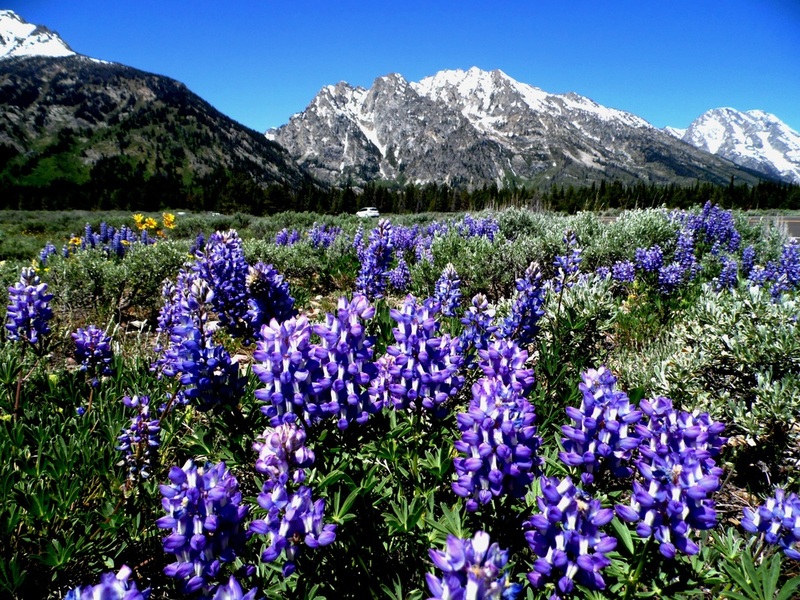 It was the first area to be designated as a national park in 1872. 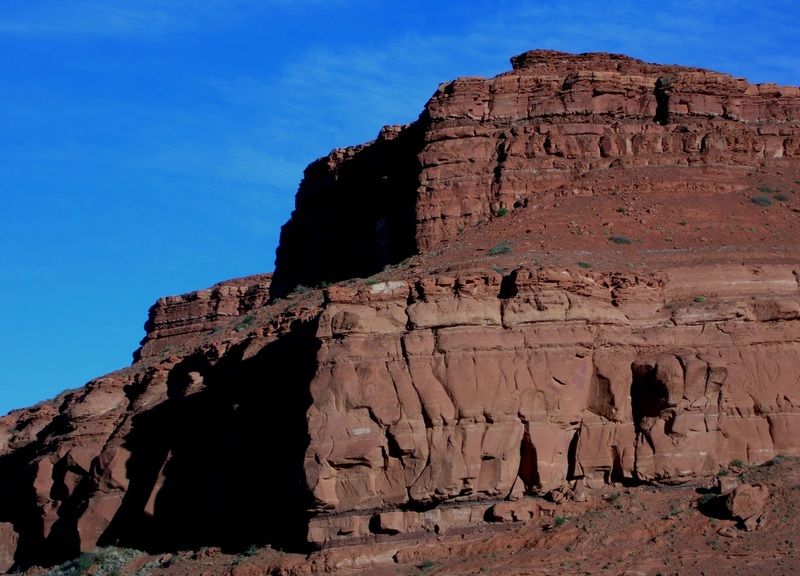 The park is home to hundreds of endangered wildlife species and includes an incredible variety of geological features. 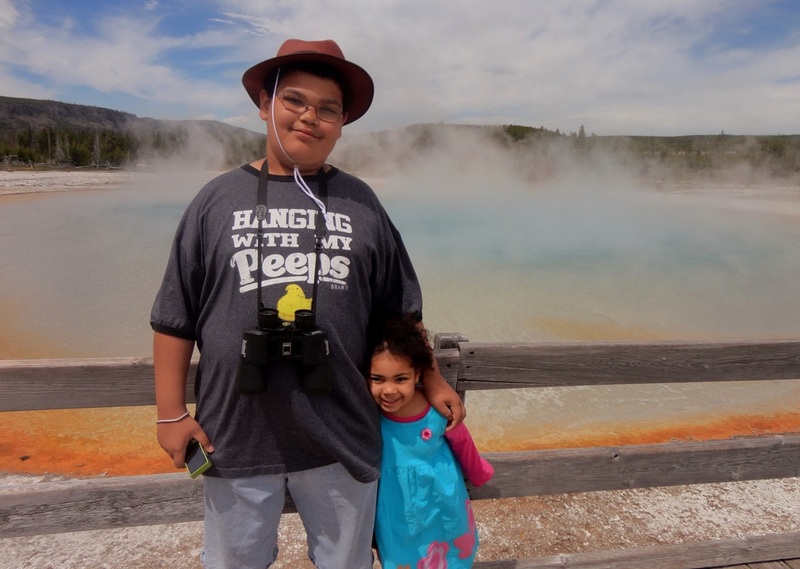 The Old Faithful geyser in Yellowstone got its name due to the regularity and frequency of its eruptions. 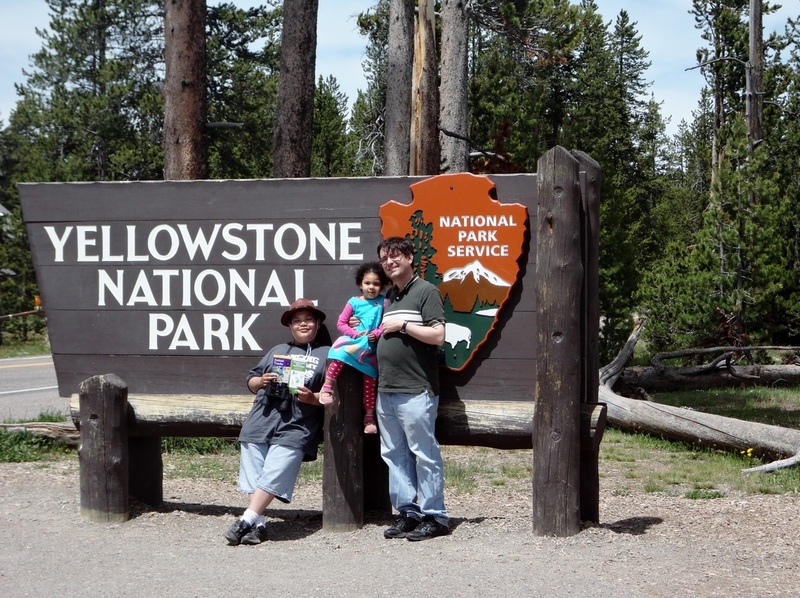 Located in the Upper Geyser Basin, Old Faithful is actually one of many geysers in Yellowstone. 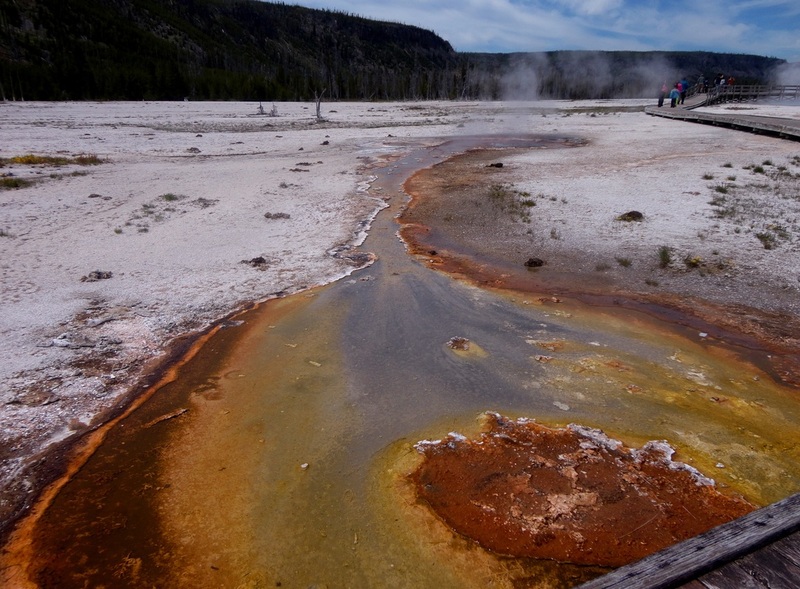 Yellowstone has four different kinds of hydrothermal features: mudpots, steam vents, hot springs, and geysers. The brilliant colors of some of the hydrothermal features are caused by extremophiles (tiny organisms capable of surviving in extreme environments) which survive in the acidic environment at high temperatures. 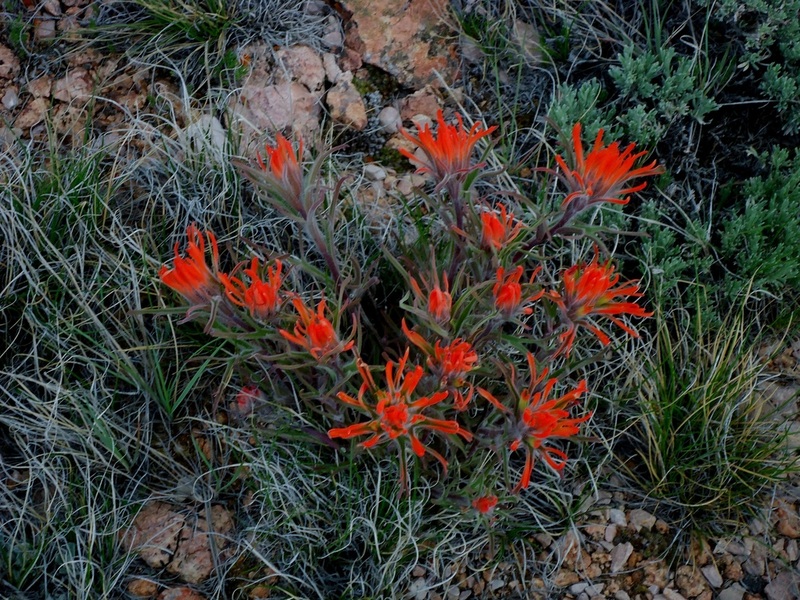 In 1917, the state of Wyoming chose the Indian Paintbrush to be its flower. There are over 200 species of paintbrush. 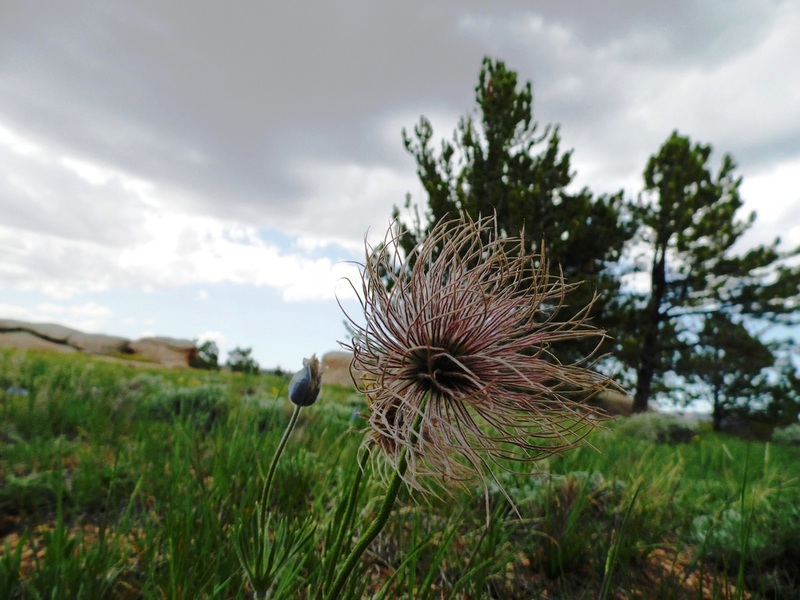 The Wyoming variety grows on rocky outcrops, arid plains, sagebrush scrub lands, and pinion pine habitats. 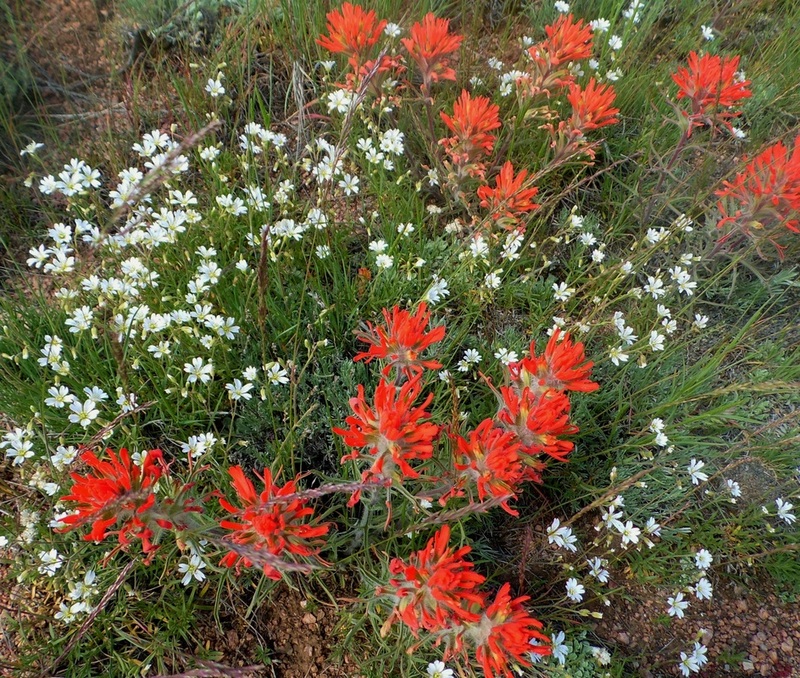 Castilleja linariaefolia is unique to Wyoming. 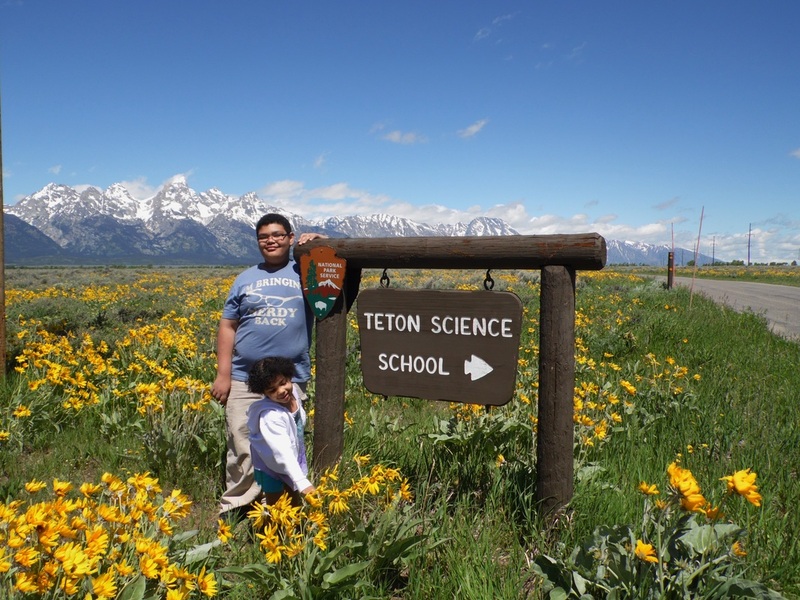 The Teton Mountain range is found along the state's border with Idaho in the northern part of the state. The distinctive black granite and gneiss peaks are sharp and jagged arrowpoints reaching into the sky. 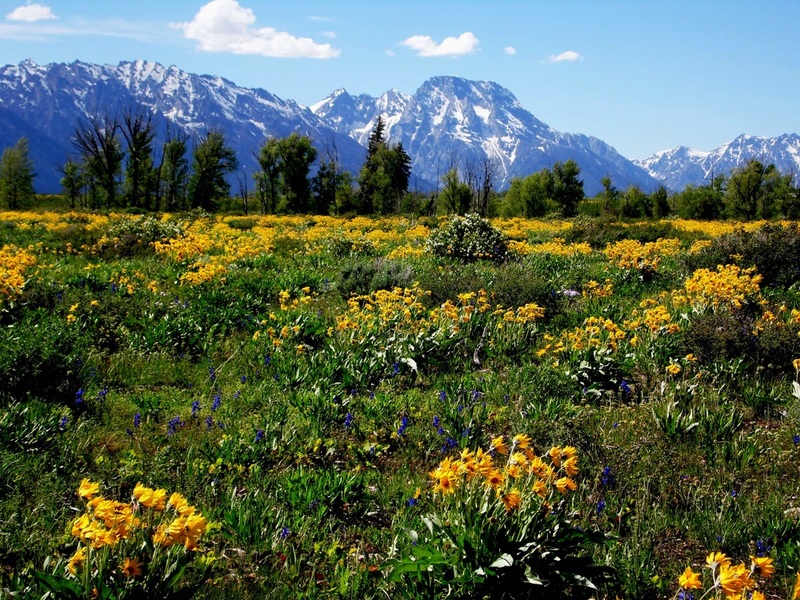 The Grand Teton National Park was formed in 1929. 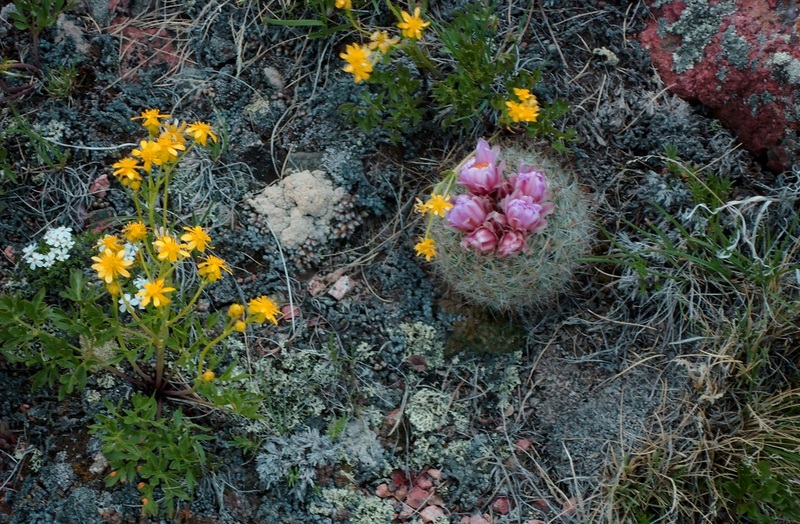 Wildflowers in Wyoming range from cacti nestled in shrub bush habitats full of sage and wild rose to tiny alpine blooms to lush lupine, columbine, and arrrowleaf balsamroot nestled at the foothills of the mountains. 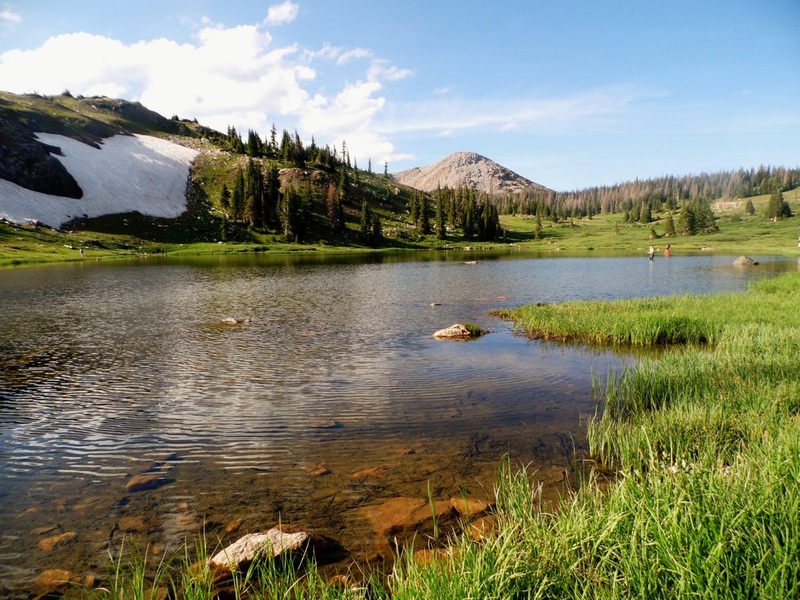 Snow pack at the peaks of the many mountain ranges in Wyoming melts and creates beautiful lakes stocked full of fish. 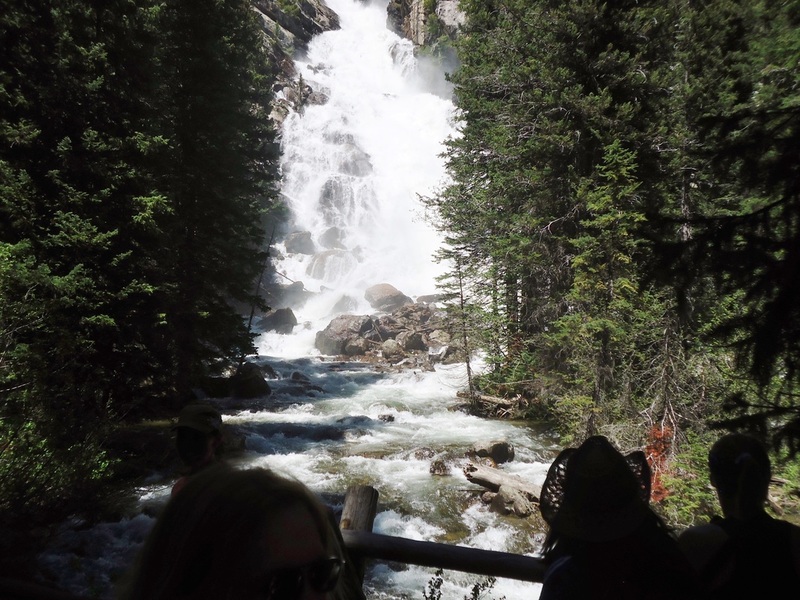 A short climb up the slope will often reveal a frothy, roaring waterfall, stark white against the dark green vegetation of the alpine conifers. 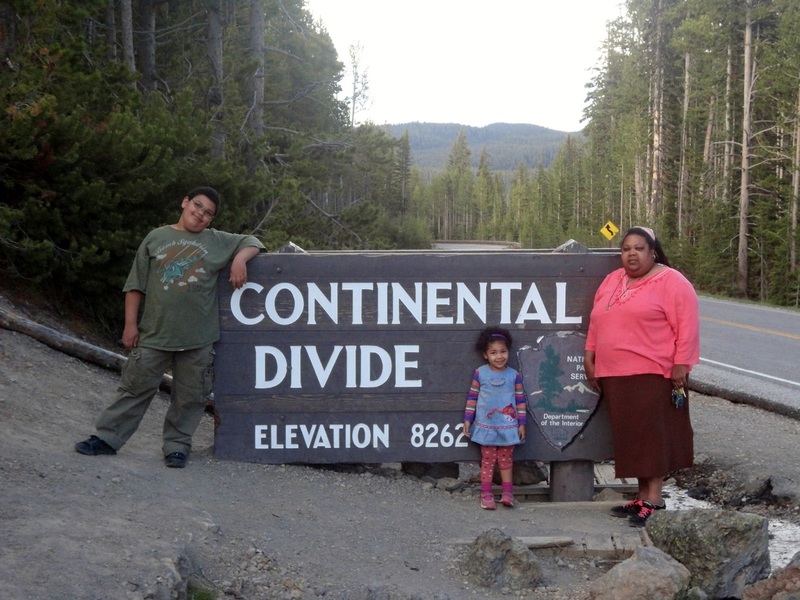 The Continental Divide runs through the state of Wyoming, giving it a unique geography of mountains and basins crisscrossed and dotted with mountain streams and lakes, winding rivers and wind-swept plains. The Snake River begins at Jackson Lake in Wyoming and eventually feeds into the Colombia River on its way to the Pacific. 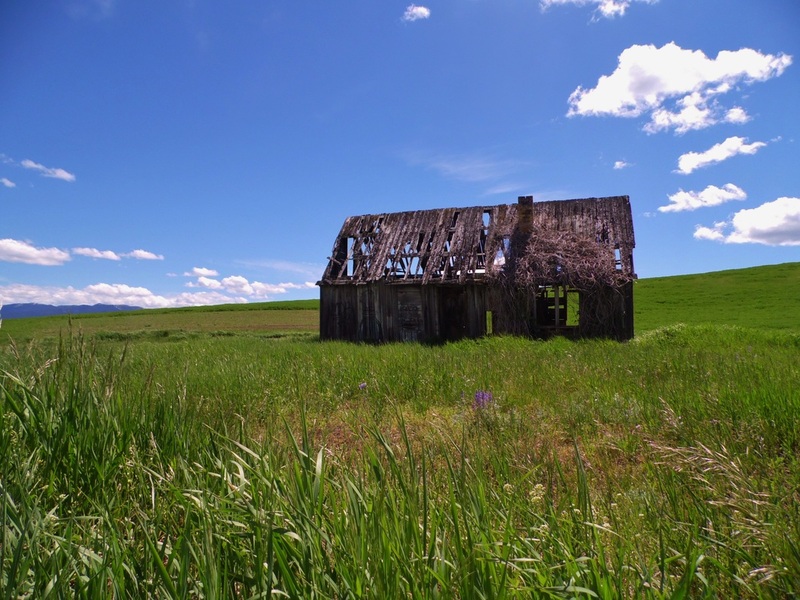 It was once home to the Nez Perce and Shoshone peoples who lived along its banks and fished salmon from its shores. The Lewis and Clark Expedition was the first American group to sail down the Snake River and make its way to the Pacific Ocean. 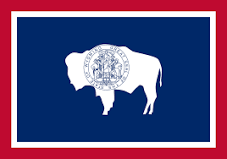 According to Wikipedia, there are 110 mountain ranges in the state of Wyoming. Some of these are a part of other ranges, and some extend into other states. 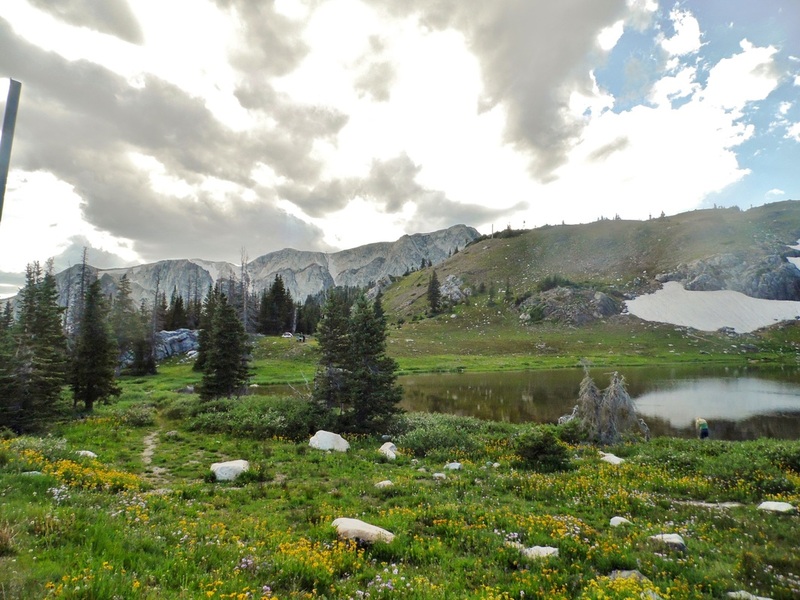 The Snowy Range, Sherman, Mine Hill, and Laramie Mountains are near us. 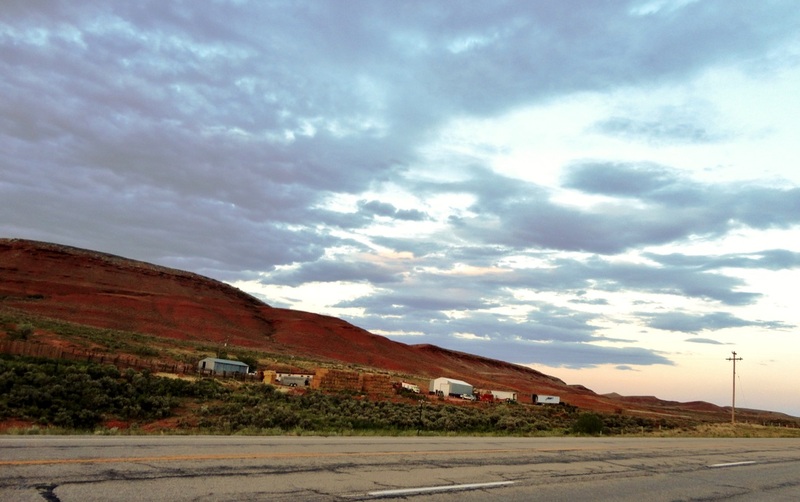 One of the noteworthy geological features of southwestern Wyoming is Red Rock Canyon. 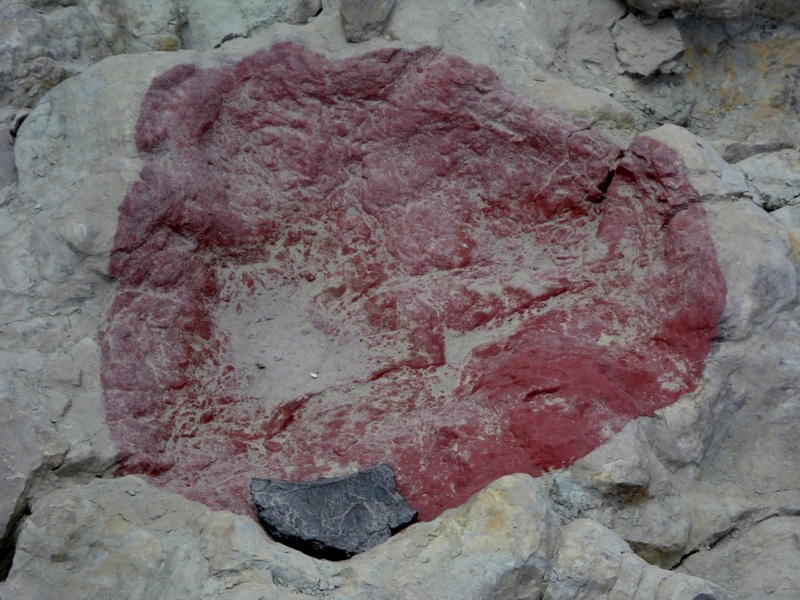 The bright red color is due to oxidized iron. Driving through the canyon, you see striped rock formations which date back to the Permian era when Wyoming was still a marine ecosystem. 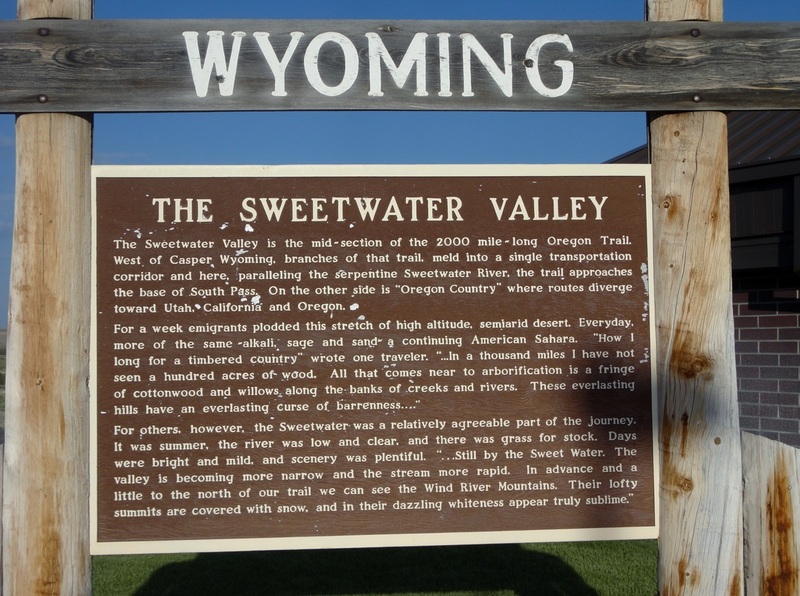 This area was the site of Wyoming's first oil well, drilled in 1884. The Wyoming landscape has changed a lot over the centuries.The official state dinosaur of Wyoming is the Triceratops. 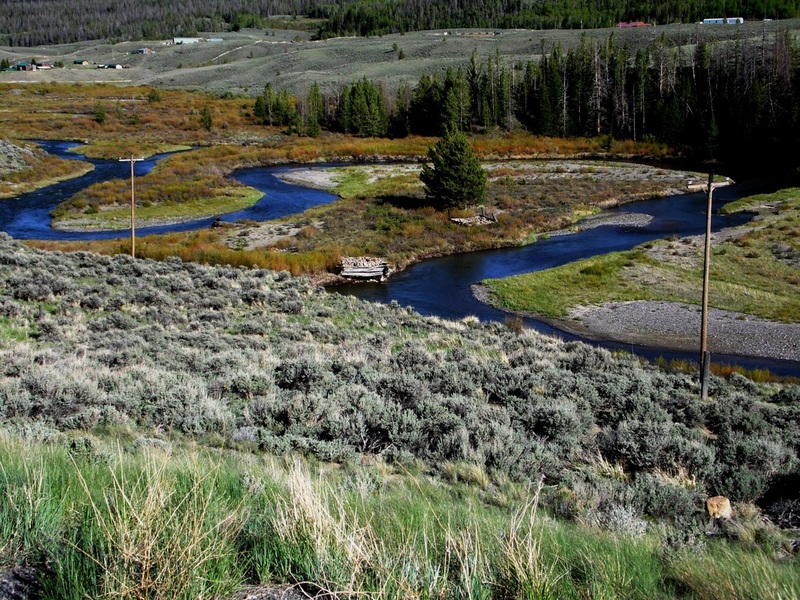 Long ago, much of Wyoming was underwater, covered by a large inland sea. 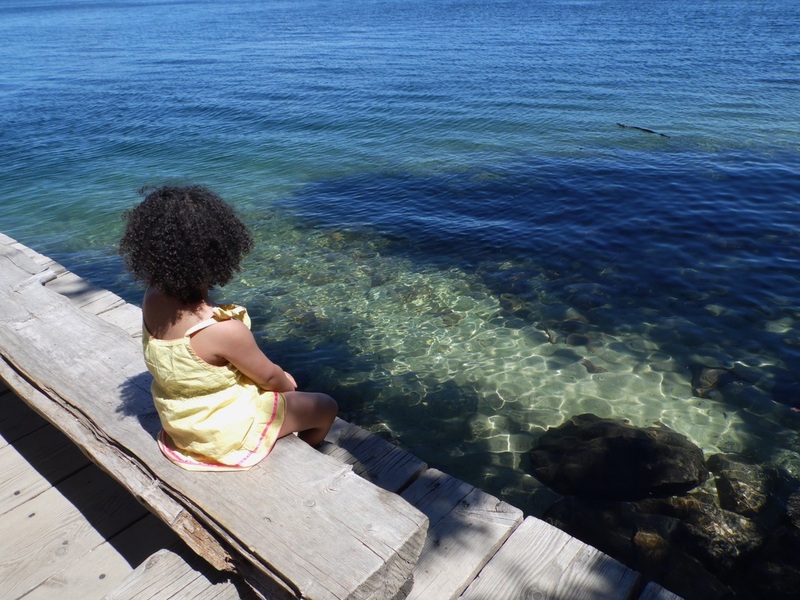 The climate was tropical in nature and, as a result, many fossils of marine animals and others can be found here. 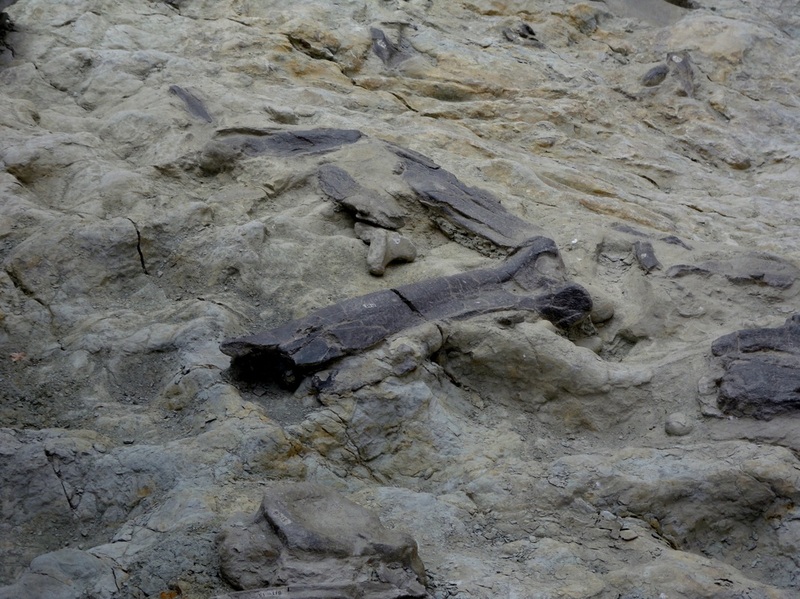 The Wyoming Dinosaur Center in Thermopolis has active dig sites where you can find all kinds of fossils including dinosaurs. 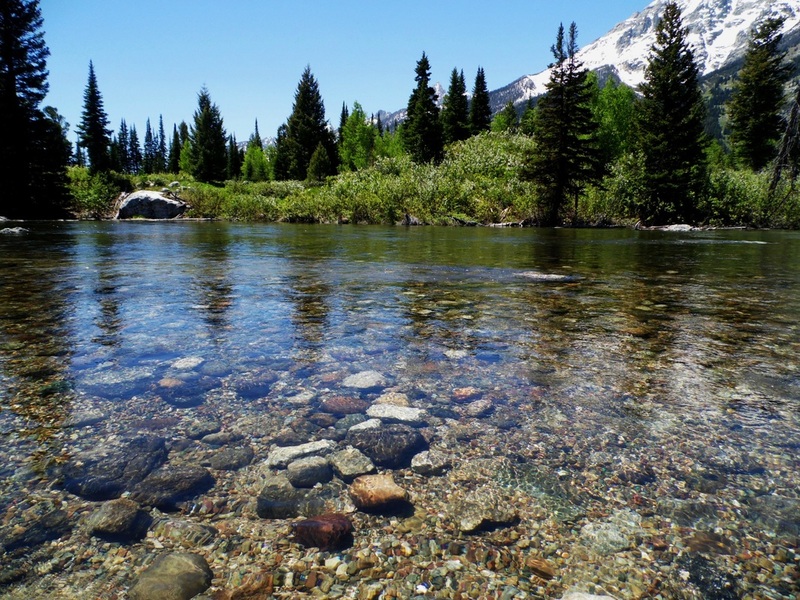 Wyoming is rich with mineral deposits, some of which find their way into the water. 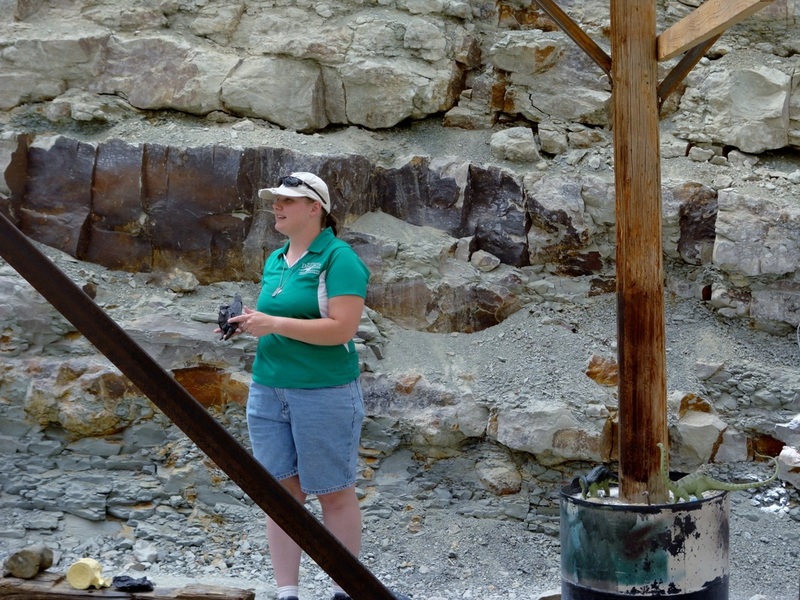 The hot springs of Thermopolis are renowned for their healing and restorative properties. That is, if you can bear the smell! 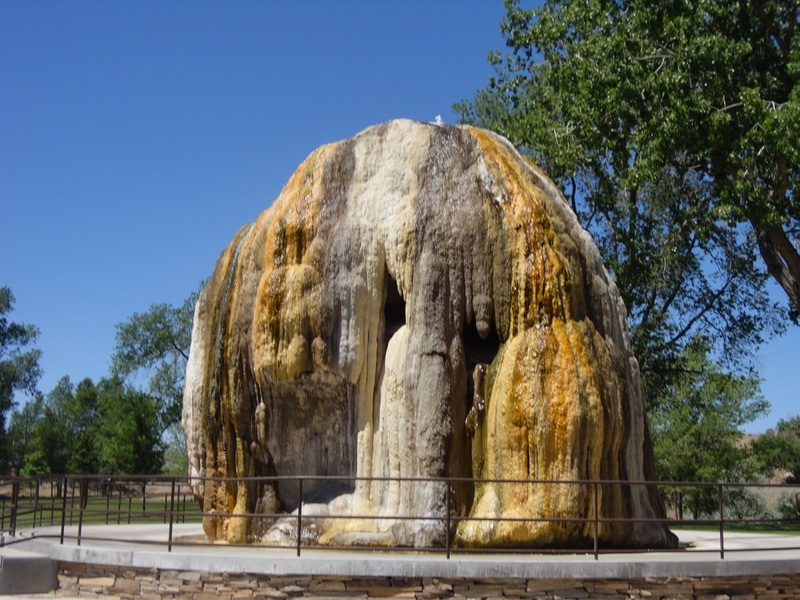 Also in Thermopolis is this rocky formation called Tepee Fountain. 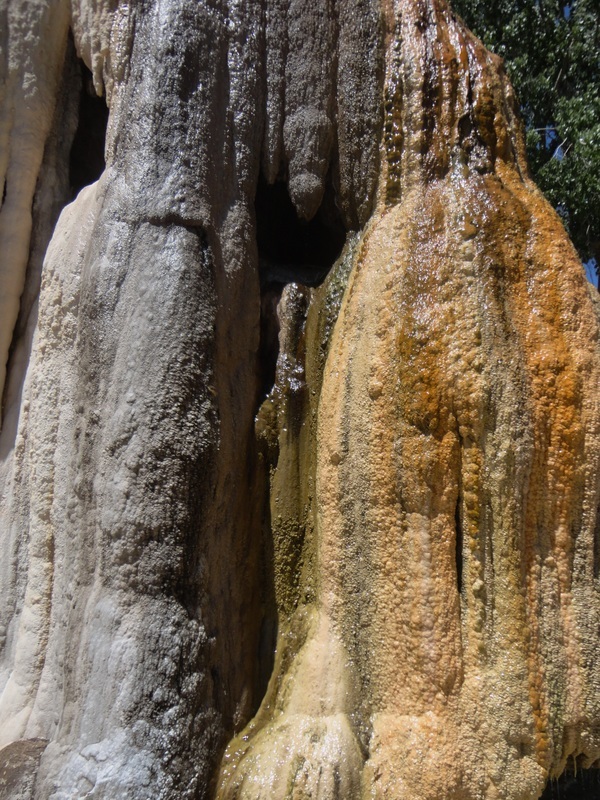 Like a stalagmite in a cave, this rocky formation is actually mineral deposits from a fountain which seeps from the ground and bathes the outer surface of the structure. 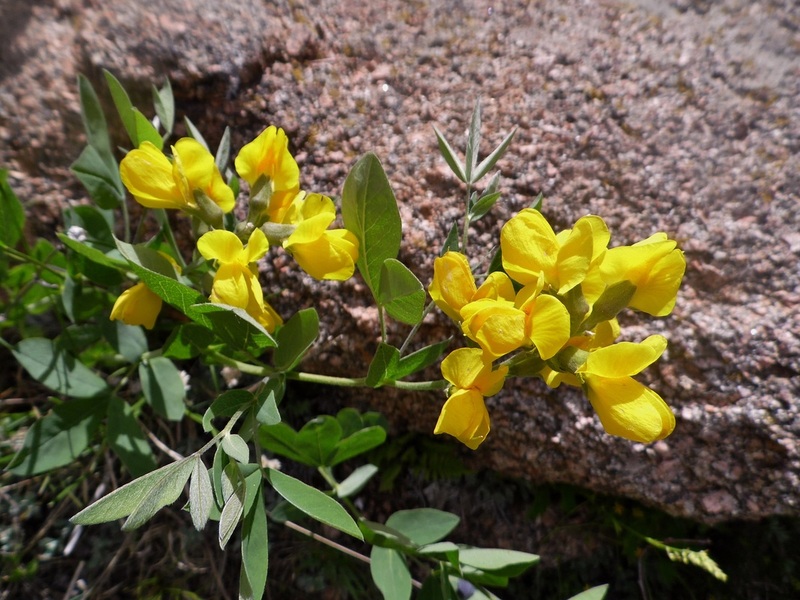 We live near the Vedauwoo (vee - da - voo) section of the Medicine Bow - Routt National Forest and spend a lot of family time climbing the rocks, taking pictures and looking for wildflowers. The rocks in the area look like what would happen if a little kid decided to make mountains out of balls of clay. The rocks are mostly composed of granite formed by magma in the ground that became exposed through the process of uplift. 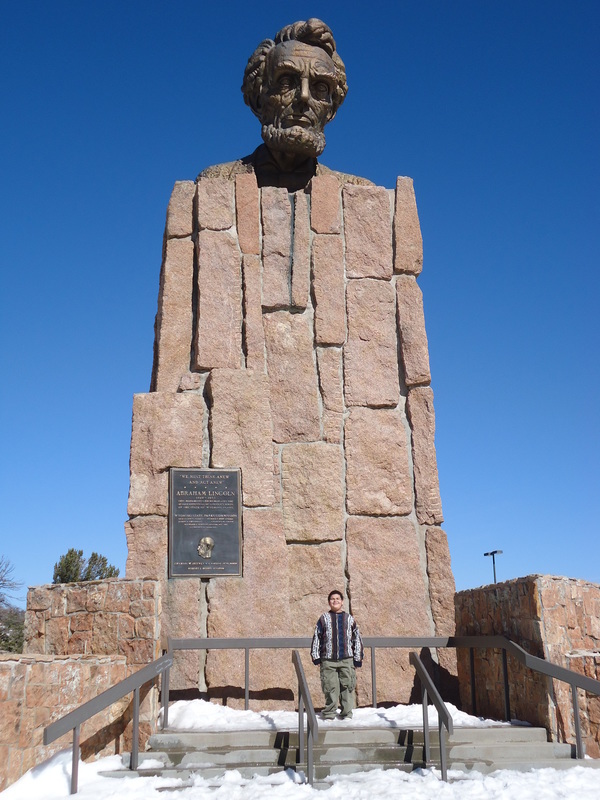 Between Cheyenne and Laramie, just off of the Happy Jack exit of I-80 looms a striking monument to President Abraham Lincoln. You might be tempted to believe that the monument was created to commemorate some sort of visit to Wyoming at some point in time or that Lincoln, perhaps, lived here in some rustic, picturesque log cabin. Well, you'd be dead wrong. The bust of Lincoln was completed in 1959 to commemorate Lincoln's 150th birthday. University of Wyoming Art Professor, Robert Russin, was commissioned to design and complete the bust which, originally, was to be more than a head. Russin, believing the weather in Wyoming not to be conducive to working the bronze the way he wanted to, actually completed the bust in Mexico and then shipped the whole shebang north. Lincoln was originally installed on Sherman Hill looking out over Lincoln Highway; however, he was moved in 1969 after the interstate was completed. Upon his death in 2007, Russin's cremains were interred in the statue. For us, the memorial is the beacon of hope it was intended to be because every time we see it, we know we are almost home.